Kanaria-iro is a yellowish color with a slight dullness like the feather color of the wild canary. Canary is written as “金糸雀” in kanji and “Kanaria-iro” is literally the color expressing wing of canary. 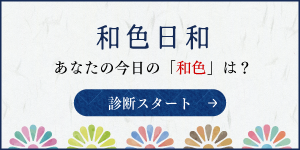 Also, “Kinshijaku-iro” is also read separately. In Katakana, “カナリア色” is famous as the color of uniform of Brazilian national football team, but “カナリア色” is more vivid yellow. This is probably because the canary in the time when it was transmitted to Japan was slightly dusky yellow near the wild canary because the breed improvement was not progressed as it is now. 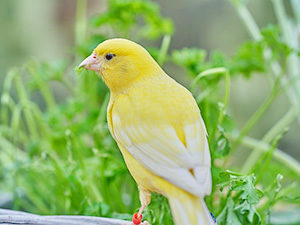 Canary is a small bird of the sparrow eye, a kind of pet bird finch. The name comes from the “Canary Islands”. It was brought to Japan during the Tenrikyo period (1781 – 89) of the Edo period and was called “golden sparrow”. From the beauty of the figure and twitter, the canary became very popular as a pet quickly, especially as samurai and knowledge layers petted. 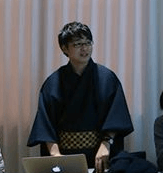 Its appearance can be seen also in Japanese paintings of Katsushika Hokusai so that it expresses its popularity. It is believed that the canary was transmitted to Japan from the middle of the Edo period to the end of the period, so it was only after the Meiji era that the color name of “Kanaria-iro” was made. By the way, there are many color names derived from bird’s wings unexpectedly because there are customs for keeping birds from long ago, “Kanaria-iro” many years ago, “Hiwa-iro”, “Toki-iro”, “Kamonoha -iro “, and in modern times you can see various color names such as” Uguisu-iro “” Ohryoku “and” Kujakumidori “.